Falling in love and making the commitment to run. Jerlyn Thomas is a Caribbean-born Senior Digital Art Director living in Brooklyn, NY. When she’s not drawing on her iPad she is a self-proclaimed fitness enthusiast and foodie. 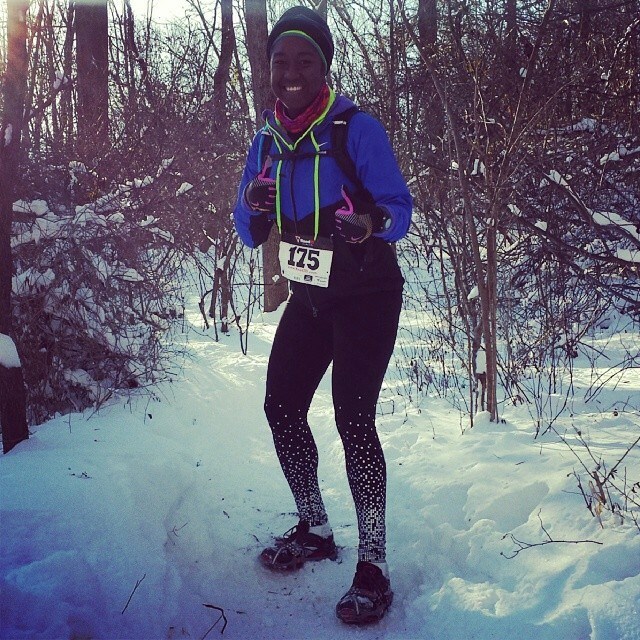 Jerlyn started running in 2008 to cope with a tragic loss in her family. Although she thought she wouldn’t, she ran her first marathon in 2012 and since then has run 3 more. 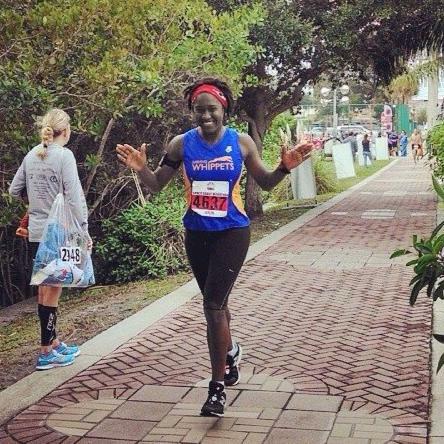 She loves the science behind running and is constantly trying to push herself and her limits. In 2013, she completed 2 Tough Mudders, and in 2014 she expects to complete an Ultra Marathon in January and a Ragnar Relay in February. She was introduced to the Dashing Whippets in October by Matthew Wong and is excited about becoming a stronger and faster runner. Please visit Jerlyn at her website: jerlynthomas.com. Running and I have had an on-and-off relationship since 2008. It knew it was a “Friends with Benefits” situation, as helped me cope with my brother’s death, so there wasn’t much by way of support or rules in the process. It left me stranded many times with injuries and, now and then, we’d go through separations until it beckoned me again. It always seemed like we just used each other until we both felt guilty in the end. I don’t know how much longer our open relationship will last, but I took the commitment. I’m in love again, and I trust Running wholeheartedly. To honor it, I even signed up for many races for 2014 as my resolution—hopefully our journey will last for decades to come.